Erie Gives began in 2011 in honor of The Erie Community Foundation’s 75th Anniversary. Erie Gives 2018 will take place on August 14, between the hours of 8 a.m. and 8 p.m.
During this 12-hour period of online giving, The Erie Community Foundation will match a percentage of each donation you make to your favorite nonprofit(s) when you donate through this website. Goodell Gardens is among the nonprofit organizations supported on Erie Gives by generous donors like you! 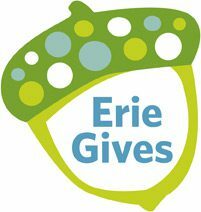 Mark your calendar, and head over to www.eriegives.org for this year's event: Tuesday, August 14, 2018.